Make a remake of a classic and give it a new spin!, pong, tetris, breakout and snake are some examples! Make it fun and unique in some way. A weird combination of a runner game and the classic Asteroids. 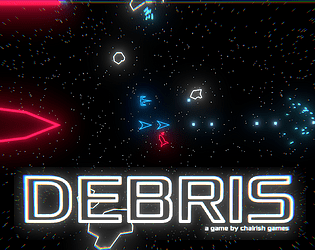 Escape the invading enemy forces by flying through a perilous asteroid field towards the eastern warp gate. Save as many survivors along the way as you can and force your way through the debris of your home planet together. All assets were made during the jam period by us. good stuff a nice twist on a classic. thanks for entering! I loved it! Fun gameplay and super old-school vector-style analog graphics. Great twist on Asteroids. Visually pleasing and fun game. A wonderful entry! This is a beautiful game. The ascetics are wonderful and the game play is intuitive. The risk reward mechanic is a fun decision also. Very good game!